CD jewel cases slim styles are preferred by many for storing CDs and DVDs. These cases are about half the thickness of the standard jewel case. The standard case is approximately 10 mm thick, whereas the slim CD jewel case is around 5 mm thick. The standard size jewel case is constructed of three pieces. There is a top part of the case and a bottom part. These two parts connect together at the spine of the case. The third piece is the holding tray. It snaps into the bottom part of the jewel case. The hub of the tray or in order words the part that holds the CD or other optical disc in place is very pronounced as shown in the image. The slim jewel case is constructed of two pieces: a top cover piece and a bottom tray piece with a center hub to support the disc. The hubs for CD jewel cases slim style are basic and much less pronounced (as shown in the photo) than for standard size jewel cases. In fact, the hub in a slim style case noticeably does not hold the disc in the case as tight as the hub found in the standard size case. Slim cases come in multiple colors and are primarily used because of their slightly cheaper cost when compared to standard cases. The slim jewel cases also save storage space when stored vertically on a shelf because they are half as thick as standard size jewel case. This can be clearly seen when comparing both thicknesses of jewel cases side by side. The CD jewel cases slim styles do support discs at the hub so that the discs do not move in the case, which is an important requirement. 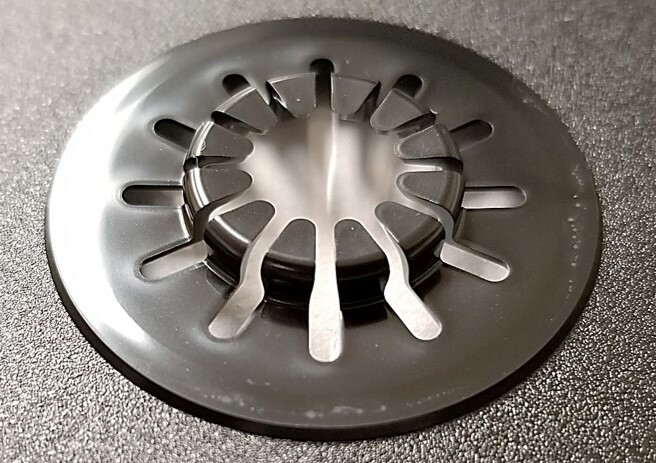 For the most part, the surfaces of the disc do not contact the case surfaces if the case is left undisturbed and this is a necessary feature because it prevents surface abrasions and damage to the disc. The slim CD jewel cases also provide a reasonable degree of physical protection for discs. All these stated benefits make the slim jewel case a preferred CD, DVD, or Blu-ray storage container when compared to other storage options such as paper or plastic sleeves. For maximum disc protection, the standard case is still preferred. The standard size jewel case provides more separation between the disc and the case and therefore less risk of damage. With slim cases, there is very little space between the CD, DVD, or Blu-ray disc and the surface of the case. Any slight compression will cause the slim case to contact the disc and possibly damage it. The slim case is also a little less sturdy overall than the standard case, which is more difficult to distort. 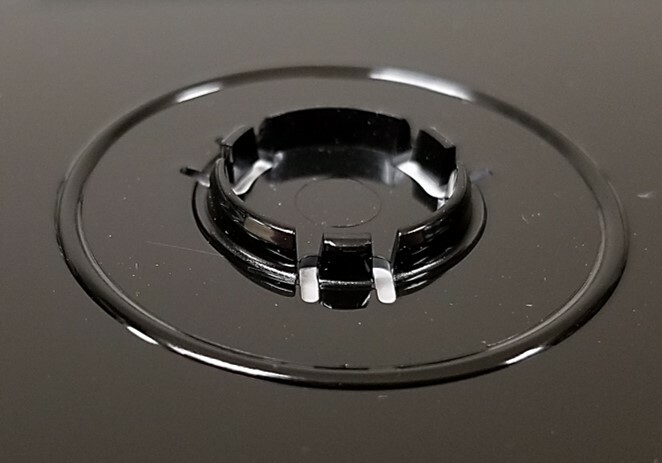 Although a hub does exist in a slim case, it does not hold the disc very tight and it can slip out of the support. These disadvantages are more significant if discs are handled frequently. In these situations, the standard size jewel case is recommended. However, CD jewel cases slim size can be used without increasing the risk of disc damage too much, if the discs are simply being stored vertically on a shelf and not handled often.